In universal standards, the English language is set as standard text content which has a limit of 160 characters for a single SMS. When you send an SMS message over 160 characters the message will be split. As per the character count in the SMS, it will be deducted from your account. And this list goes on up to 918 Characters (6 Length) as per Nepal Telecom operator rules. For higher delivery of SMS, it’s preferable to send up to 700 characters only. 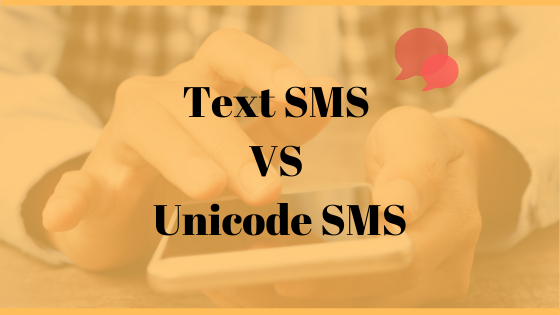 Unicode SMS is any text message sent in any other languages except English. Unlike normal text message, Unicode SMS only limits 70 characters in a single message. If the SMS is over 70 characters, the message is segmented into 67 character segments. For example, Nepali, Newari, Bhojpuri, Hindi, etc. Note: If one character in SMS is Unicode, whole SMS becomes Unicode. At Sparrow SMS, we provide reliable Bulk SMS Services and support to make your SMS campaign successful. You can try our free demo account with 10 free credits, Signup Here! Contact us today for any further queries.